Automate & Manage your DICOM disc output, at a fraction of your current cost. How much are you paying for your DICOM software maintenance today? Perennity DICOM is simple to use, intuitive and value priced. Already have an older autoloader from Epson, Rimage and Primera? Perennity DICOM can work with them. Refresh your current software and save on 1-3 year licensing fees. Contact us for 30 Day demo licenses are availble for software test drives. Special discounts available for replacing other packages. USB output options are available. 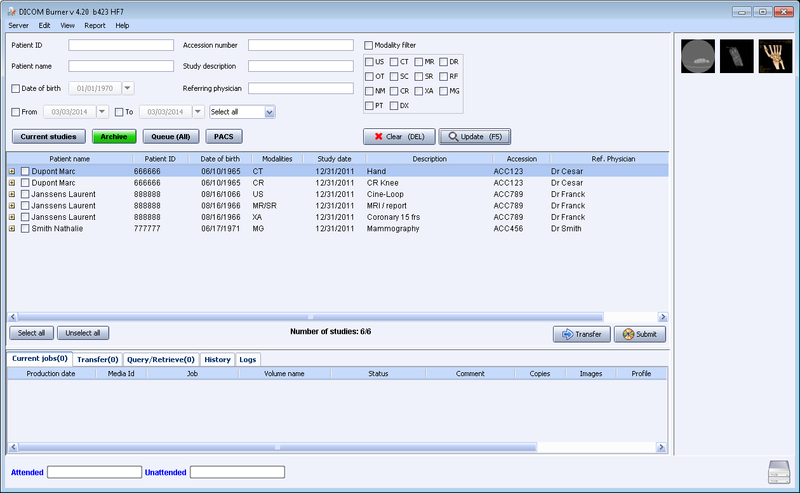 Media Supply introduces Perennity DICOM, a powerful solution for automating Patient DISC & USB recording and printing. Perennity integrates seamlessly with almost every DICOM viewer. Is your hospital looking for the right solution to automate production of Patient DISCS? Working with any Rimage, Epson or Primera autoloading duplicator, Perennity DICOM can be used. Off-line backup to Bluray or DVD is also available. Manage all the task from any computer on your network with our intuitive Web interface. 100% DICOM Compliant - Perennity DICOM works with any DICOM compliant modalities and the PACS systems. Images are sent to our DICOM server using the network. Output - CD, DVD & Bluray discs production is automated thanks to an autoloader (robot). It also prints a custom label with Patient & study information. Workflow - Thanks to its powerful Profiles, Perennity DICOM can automaticaly apply different settings based on defined criteria e.g. using a different viewer for a specific modality. Looking for a turnkey solution to output medical images PACS to optical media, like CD, DVD & BluRay? Perennity DICOM offers a solution to the medical industry, which significantly reduces costs compared to traditional film. Acting as a genuine DICOM server, Perennity DICOM also stores all studies for future analysis. You can define Profiles based on defined criteria, like type of modality, AE title or value of a DICOM tag with Perennity DICOM. Different rules can be applied, like putting a different DICOM viewer for a certain type of modality and prioritizing CD production for emergencies. You can sort profiles by priority. 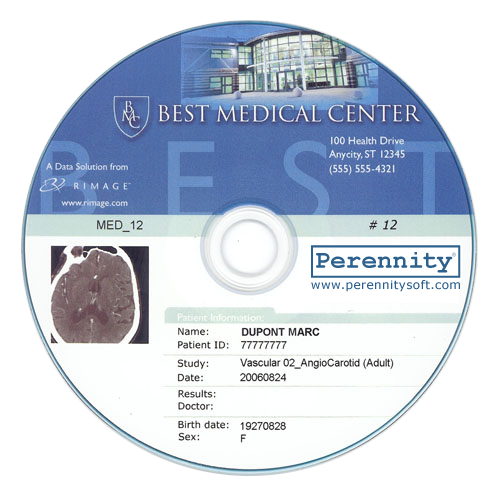 Using CD/DVD autoloaders from Epson, Rimage and Primera to automate disc production, Perennity can also personalize your disc with a patient unique label. Patient disc labels can have any information printed on top, including patient name, identifier, date and time, list of studies and more. 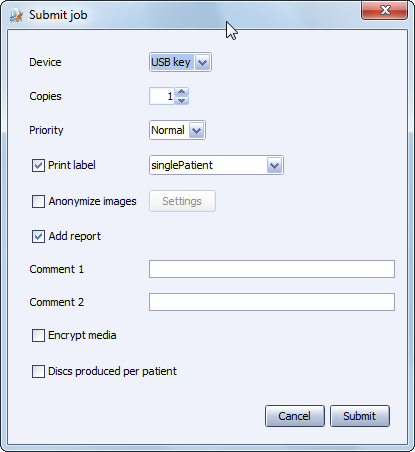 The disc label can include thumbnails of DICOM images, pictures and logos, and almost any DICOM compliant viewers can be added to the optical media disc. Perennity�s intuitive user interface can work with a web browser, so it accessible to your network. Studies can be retrieved and queried from any PACS and then sent to an optical disc (CD/DVD/BluRay). Your images can also be sent directly from any modality or workstation to the Perennity DICOM. Discs (CD/DVD/BluRay) will be produced through unattended operation, grouping studies by individual patients.